Emmeline Thistle has always had a mysterious bond with cows, beginning on the night of her birth, when the local bovines saved the infant cast aside to die in the forest. But Emmeline was unaware that this bond has also given her a magical ability to transform milk into chocolate, a very valuable gift in a kingdom where chocolate is more rare and more precious than gold or jewels. Then one day Owen Oak, a dairyman’s son, teaches Emmeline to churn milk into butter—and instead she creates a delicious chocolate confection that immediately makes her a target for every greedy, power-hungry person in the kingdom of Anglund. Only Owen loves Emmeline for who she truly is, not her magical skill. But is his love enough to save her from the danger all around her? * The Ugly Duckling, AAAHHHHHH!!!! * Hmm, I like this Emmeline lady. She's plucky. And magic. And she likes cows. I like cows. * Wanted posters, escaped slaves, leprosy, oh my! * I don't think I like this kingdom very much. TAKE 'EM DOWN, Emmeline. * Don't you try to win me over, villains. I WON'T HAVE IT. Maybe. Make sure to stop back near the August release for my full, less nonsensical review (but not wholly sensical, either)! 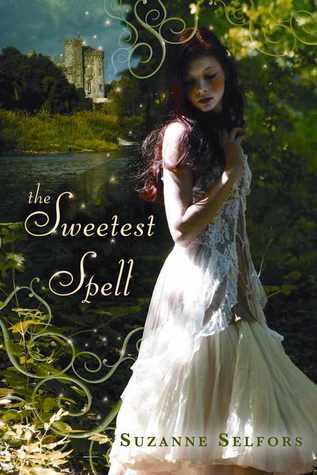 And don't forget to check out my interview with Suzaane and enter the giveaway for a signed copy of The Sweetest Spell!